Fred and Barney reunite for Mark Russell's modern take on Hanna-Barbera's most famous stone-age family! This new series starring the first family of Bedrock (and civilization, really) tells the story of who we are and why we do what we do as if it all began with Fred, Wilma, Barney, Betty, and the rest of the citizens of Bedrock. Shining a light on humanity's ancient customs and institutions in a funny origin story of human civilization, Mark Russell (PREZ) blends modern interpretations with Hanna-Barbera's classic character's, bringing a breath of fresh stone-age air. Hanna-Barbera has created some of the most recognizable animated characters of all time. As part of DC Comics' re-imagination of cartoons like Scooby-Doo, The Flintsones, Johnny Quest, Space Ghost, and Wacky Racers, these new series will be infused with modern and contemporary concepts while keeping the heart and soul of the classic animation. Collects THE FLINTSONES #1-6. I’m finding it difficult to come up with words to describe how much I loved “The Flintstones Vol. 1.” These are not the Flintstones of your childhood. There is biting satire about the world today that has you laughing one moment and thinking deeply the next. My favorite was issue five. I won’t spoil it, but it is a top-notch political commentary on the state of our elections. The top it all off, the artwork is detailed and beautiful. Highly recommend! All of the Stars! The antihero who made his debut in THE SANDMAN and starred in his own hit series continues his comeback in the second volume of this new series by best-selling writer Holly Black ("The Spiderwick Chronicles")! God is dead--and Gabriel has accused Lucifer of His murder. Lucifer had motive and opportunity, but claims he can prove his innocence. If Gabriel finds the killer and takes the culprit into custody, Lucifer's sins will be forgotten, and he'll be welcomed back to the Silver City. So, despite the fact that Lucifer just opened a new nightclub on Earth and is hiding a mysterious wound, the two brothers set off to solve their Father's murder. Their investigation will span Heaven, Hell, Earth, and beyond in this antagonistic buddy-cop noir with an angelic flare. 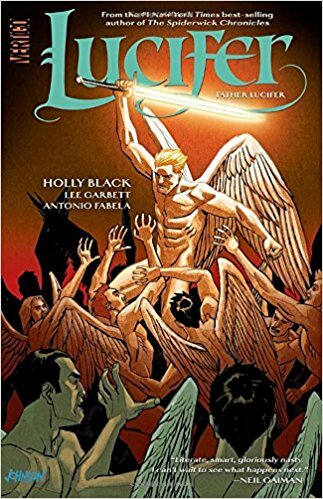 This daring new graphic novel reintroduces the former King of Hell to a new generation of readers watching Fox's new 2016 series "Lucifer"! Collects issues #7-10. “Lucifer Vol. 2: Father Lucifer” has beautiful artwork and a main story with potential, but it strays in way too many directions to be cohesive. I’m hoping that the next volume stays with a single storyline. Word of caution: If you’re coming to this comic because of the television show, it is almost completely different. In my opinion, the show is better. Your mileage may vary. It’s ADVENTURE TIME COMICS time! These sweet shorts come in many shapes and sizes, featuring all of the beloved characters from the Land of Ooo, written and illustrated by acclaimed cartoonists and storytellers from all over the world. Featuring work by: Katie Cook (My Little Pony), Art Baltazar (Tiny Titans), Tony Millionaire (Maakies and the Sock Monkey), Box Brown (Andre the Giant), Greg Smallwood (Moon Knight), Sophia Foster-Dimino, Marguerite Sauvage (DC Bombshells), Kelly Thompson (Jem And The Holograms), Savanna Ganucheau (Bloom), S. M. Vidaurri (Iron), Veronica Fish (Archie), Jim Zub (Wayward), Derek Charm (Jughead), James Lloyd (Above the Dreamless Dead), and many more! 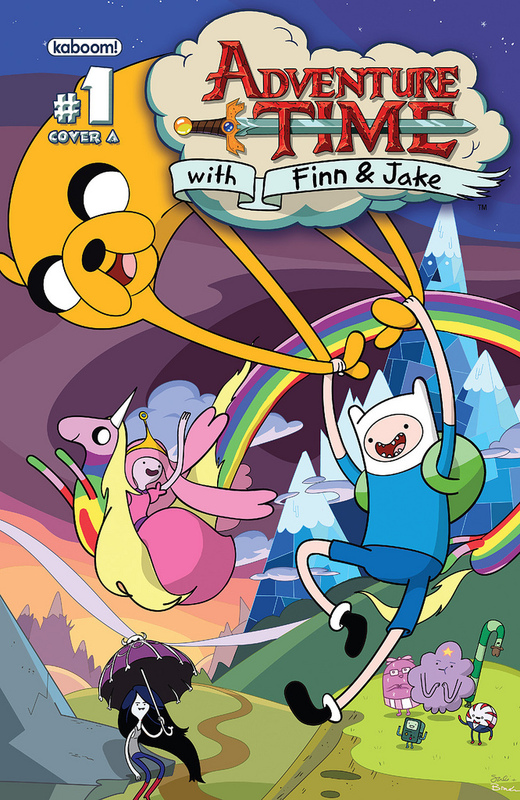 “Adventure Time Comics Vol. 1” is the perfect comic collection for beginning readers. All of the beloved characters from the show are there, and the stories are short but fun. Each story features a different artistic style, so it is also a good introduction to the world of comics in general. Of course, it isn’t just for kids! “Big Mushy Happy Lump” is the newest addition to the Sarah Anderson collection, and it’s just as good as all of her previous work. Everyone will find something to relate to and laugh at. It’s a real joy. “Denton Little’s Still Not Dead” is a hilarious follow-up to last year’s “Denton Little’s Deathdate.” It features all of the fun of the original with a heaping dose of existentialism. This series is definitely for a certain set of readers. The science of the world is explained a little, but a suspension of disbelief is a requirement. It won’t make you smarter, but it will definitely make you laugh. Highly recommended for the weird readers among us (which includes yours truly). Award-winning author Susin Nielsen has written a laugh-out-loud and heartrending novel for fans of Robyn Schneider's Extraordinary Means and Cammie McGovern's Say What You Will. Beware: Life ahead. Sixteen-year-old Petula de Wilde is anything but wild. A former crafting fiend with a happy life, Petula shut herself off from the world after a family tragedy. She sees danger in all the ordinary things, like crossing the street, a bug bite, or a germy handshake. She knows: life is out to get you. The worst part of her week is her comically lame mandatory art therapy class with a small group of fellow misfits. Then a new boy, Jacob, appears at school and in her therapy group. 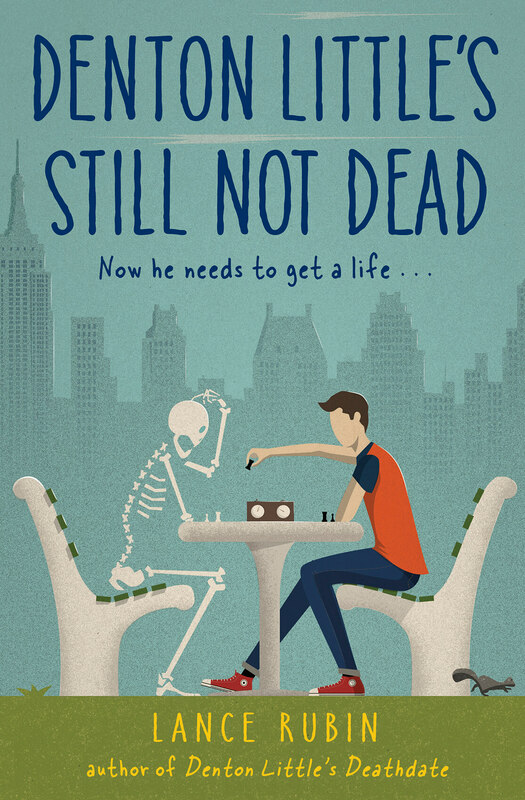 He seems so normal and confident, though he has a prosthetic arm; and soon he teams up with Petula on a hilarious project, gradually inspiring her to let go of some of her fears. But as the two grow closer, a hidden truth behind why he's in the group could derail them, unless Petula takes a huge risk. . .
“Optimists Die First” was a decent enough book about anxiety and a quick read, but it was missing that something extra to push it over into good. It also seemed to resolve things way too quickly. I can’t recommend nor not recommend it. Read the description and give it a try if it piques your interest. Maeve, a sufferer of severe anxiety, moves in with her recovering alcoholic father and her very pregnant stepmother and falls for a girl who's not afraid of anything. “10 Things I Can See From Here” is one of the best books that I have read about anxiety disorder. The way the story is written does an excellent job of showing the stream of consciousness that happens when something triggers anxiety. At times I was feeling the anxiety creeping in to my own head. The novel is by no means a one-trick pony, either. The issues of coming out, gay bashing, familial drug abuse, divorce, step-family dynamics, and first love are tackled head-on. All of the characters are developed, and for the most part, likable. I can’t stress this enough: My favorite part is that it did not follow the false trope of mental health issues being solved by meeting the right person. Salix helps Maeve, but she is not a miracle cure. Only Maeve’s dad can kick his drug habit, no matter how hard his family tries to help. Good lessons, in my opinion. I recommend “10 Things I Can See From Here” for anyone looking for books about anxiety or a wonderful lgbt romance. Yay for diverse books!